Memphis, Tennessee - A hero is defined as “a person who is admired or idealized for courage, outstanding achievements or noble qualities.” This definition is brought to life perfectly by St. Jude Heroes, individuals who train and participate in endurance events while fundraising for St. Jude Children’s Research Hospital®. St. Jude is leading the way the world understands, treats and defeats childhood cancer and other life-threatening diseases. Families never receive a bill from St. Jude for treatment, travel, housing or food – because all a family should worry about is helping their child live. 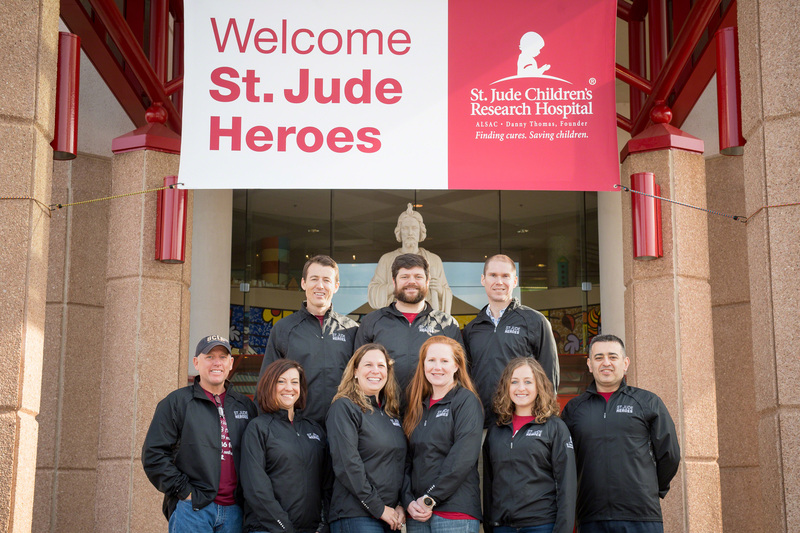 Because the majority of St. Jude funding comes from individual contributors, fundraisers like St. Jude Heroes are vital to ensure St. Jude has the freedom to focus on what matters most – saving kids regardless of their families’ financial situation. When St. Jude Heroes push themselves physically, they give the patients and families of St. Jude the strength to keep fighting. 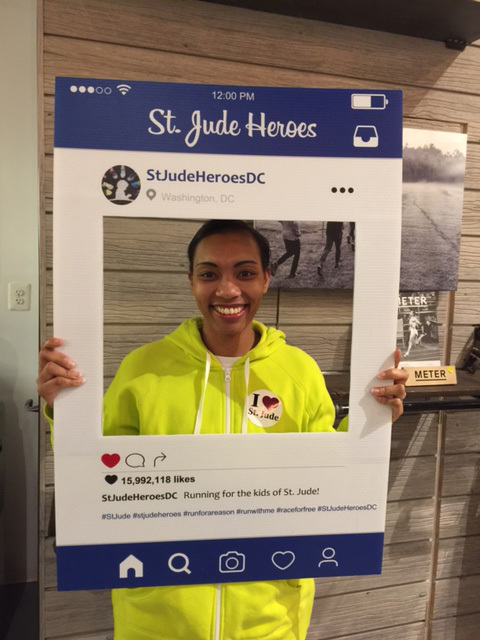 Not only are St. Jude Heroes running for a great cause, St. Jude Heroes run for free. Committed St. Jude Heroes’ registration fees are waived to focus on training and fundraising. There are a multitude of different races to participate in as a St. Jude Hero – everything from a 5K, 10K, half marathon, full marathon, triathlon, cycle events and more. 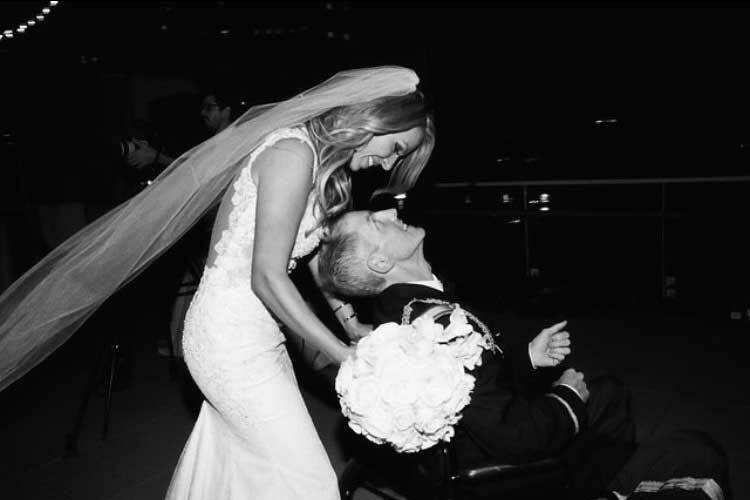 Fabi’s husband Josh lost his two-year battle with cancer only a couple months after they were married. When life seemed unbearable without him, she found solace in reading his daily journal entries filled with hope and encouragement. Among the pages, Fabi found a page titled “Goals,” one of which was to run the 5K in the St. Jude Rock ‘n’ Roll Nashville Marathon. Since Josh was unable to complete this, Fabi took it upon herself to realize his dreams for both of them. She committed to running as a St. Jude Hero in the St. Jude Rock ‘n’ Roll Nashville Marathon & ½ Marathon, and has already surpassed her $1,500 goal. 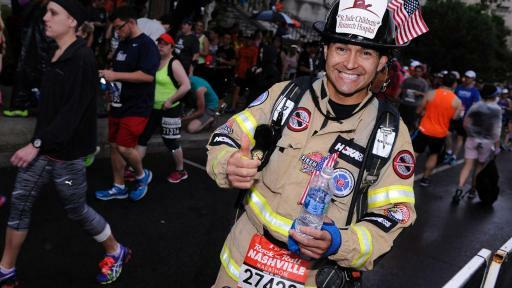 Run with Fabi as a St. Jude Hero in the St. Jude Rock ‘n’ Roll Nashville Marathon & ½ Marathon by clicking here. Cross country coach, mother, St. Jude Hero – Holly does it all. For years, she ran the half marathon during St. Jude Memphis Marathon Weekend while her husband participated in the full marathon as a pacer. But after learning about a student who had cancer, Holly was motivated to do more with her running. For five years now, Holly has led a team of students as the captain of the school’s St. Jude Heroes team. Her daughter, Anna Claire, grew up watching her mom run and fundraise for the kids of St. Jude, and decided she needed to follow suit. 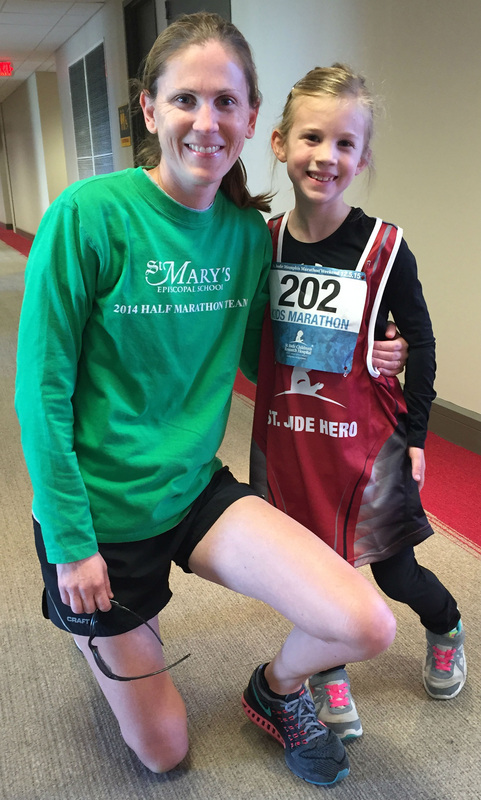 December 2016 marked the third year 7-year-old Anna Claire participated as a St. Jude Hero in the Kids Marathon portion of St. Jude Memphis Marathon Weekend. 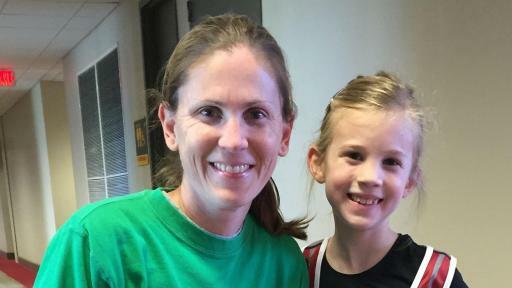 Through the Kids Marathon, she walked and ran 25.2 miles in the weeks leading up to race day, then ran the final mile of her ‘marathon’ on race day. This unstoppable family illustrates how to lead a healthy lifestyle while positively impacting the community. Learn more about St. Jude Memphis Marathon Weekend and when to register here. Little more than a month after giving birth to her healthy baby daughter, Brea was diagnosed with a cancer in her leg, just millimeters away from her sciatic nerve. 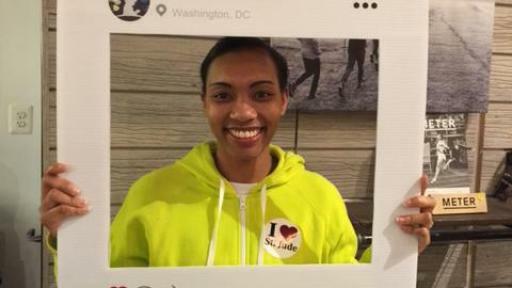 Since then, this first-time St. Jude Hero celebrated one year cancer free by participating in the Rock ‘n’ Roll D.C. Marathon & Half Marathon, and loves fundraising for a hospital where families never receive a bill for treatment, travel, housing or food. Brea raised $1,400 for her race and looks forward to being an example of a healthy lifestyle for her daughter. Find and register as a St. Jude Hero in a Rock ‘n’ Roll race here. 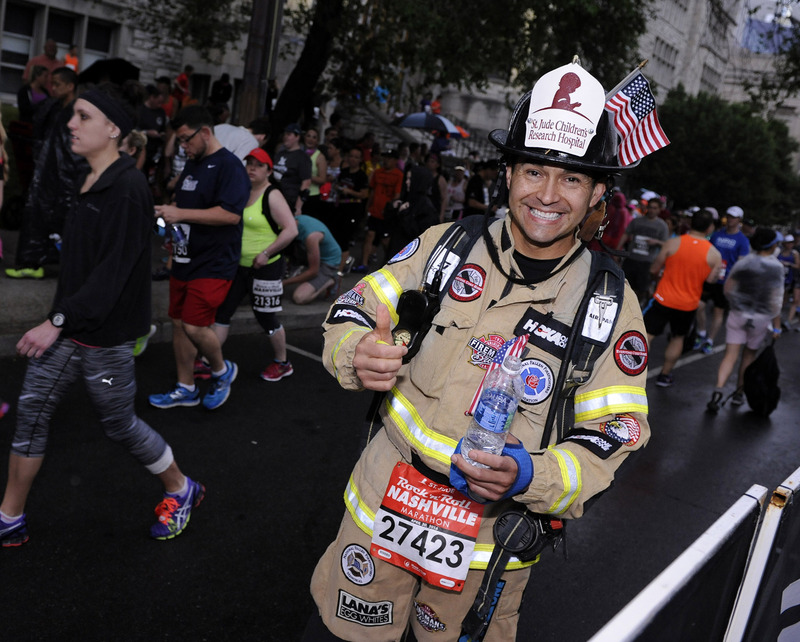 Jose – or ‘Fireman Joe’ – is a father, fireman and athlete who competes in marathons, ultramarathons and triathlons, all while wearing his full firefighting gear to fundraise for St. Jude. After hearing that a friend lost his daughter to cancer, Jose decided to honor her memory by running and fundraising as a St. Jude Hero. Jose’s next marathon as a St. Jude Hero is the St. Jude Rock ‘n’ Roll Nashville Marathon. Learn more about Jose or support his cause here. 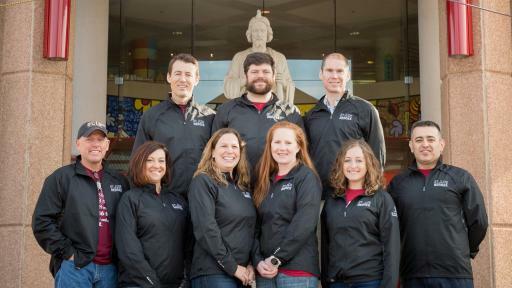 For the third year, a team of St. Jude Heroes is tackling the Boston Marathon. This year, 10 participants committed to raise at least $10,000 each, with a total goal of $170,000. The team’s coach even challenged himself to raise $10,000. Team members come from all across the country, and together they train and fundraise for the kids of St. Jude. Learn more about the Boston Marathon St. Jude Heroes team or support their cause here. 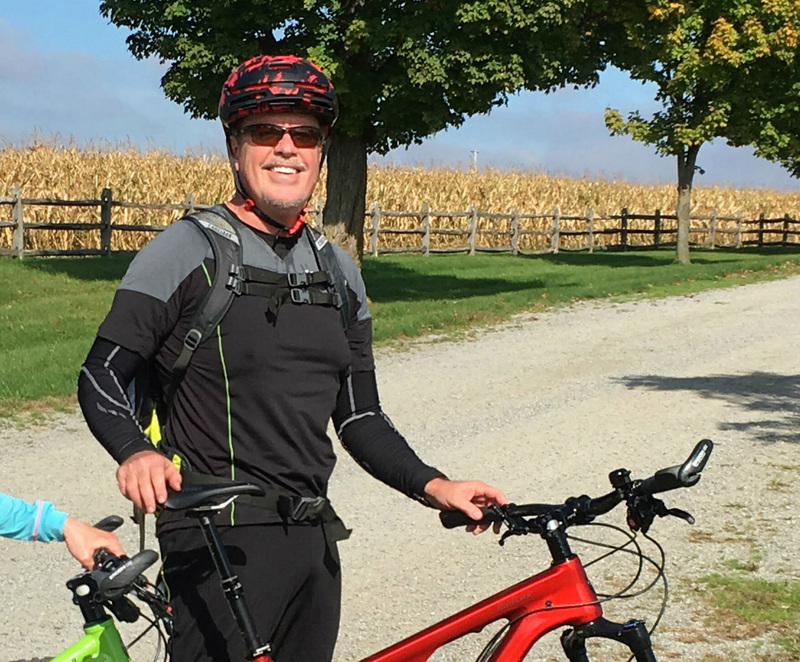 When Matt’s cycle class instructor was recruiting participants for last year’s Ride for a Reason benefiting St. Jude Children’s Research Hospital and the Life Time Foundation, he couldn’t resist joining the cause. After learning about the lifesaving research and family assistance at St. Jude, he knew he had to do everything in his power to raise funds for St. Jude. 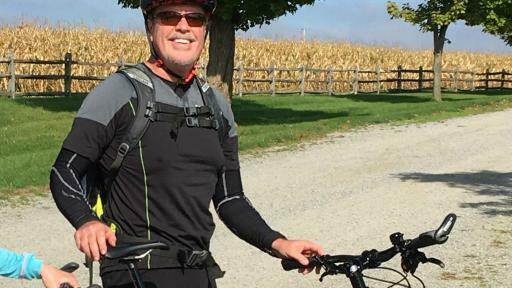 For last year’s race alone, Matt raised more than $17,000, making him one of the top fundraisers for St. Jude Ride for a Reason in the country. During the event, Matt completed four full one-hour cycle sessions, amounting to 72 miles. He is looking forward to participating in this year’s event on April 22. Click here to find a Life Time Fitness Ride for a Reason event near you. View a list of featured events or find and register for a race near you here. For any questions or to learn more about becoming a St. Jude Hero, visit www.StJude.org/Heroes, email stjudeheroes@stjude.org or call (800) 608-2936. If you are interested in speaking with a St. Jude Hero about their story, contact Sarah Burgess at 901-572-6944 or sarah.burgess@stjude.org. St. Jude Children’s Research Hospital is leading the way the world understands, treats and defeats childhood cancer and other life-threatening diseases. It is the only National Cancer Institute-designated Comprehensive Cancer Center devoted solely to children. Treatments invented at St. Jude have helped push the overall childhood cancer survival rate from 20 percent to 80 percent since the hospital opened more than 50 years ago. St. Jude is working to drive the overall survival rate for childhood cancer to 90 percent, and we won’t stop until no child dies from cancer. St. Jude freely shares the discoveries it makes, and every child saved at St. Jude means doctors and scientists worldwide can use that knowledge to save thousands more children. Families never receive a bill from St. Jude for treatment, travel, housing or food – because all a family should worry about is helping their child live. Join the St. Jude mission by visiting <">stjude.org, liking St. Jude on Facebook (facebook.com/stjude) and following us on Twitter (@stjude).